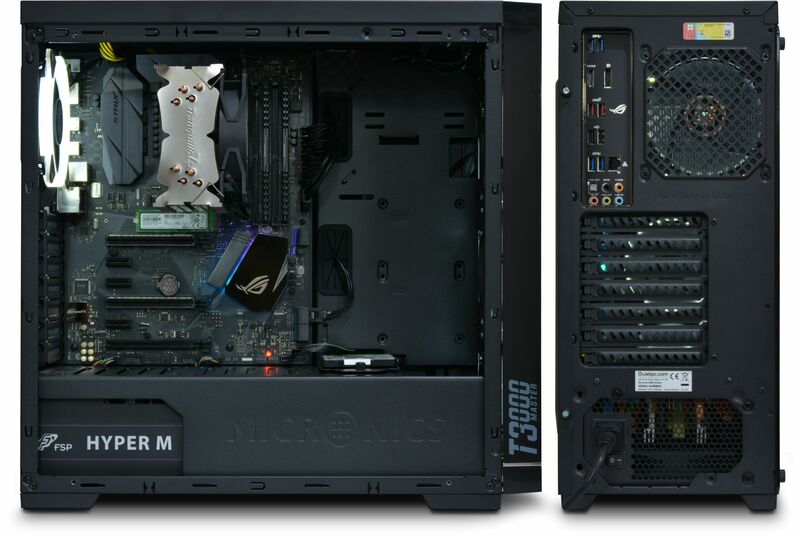 Built around Micronic's T3000 chassis, the Serenity AMD Gamer is perfect for anyone looking for a gaming PC that not only looks great but offers excellent value for money, thanks to the inclusions of AMD Radeon Vega graphics. Get £75 off this system when purchased with a Ryzen 5 2600/2600X or the Ryzen 7 2700/2700X, while stocks last. See this link for more details. Gaming PCs have become bolder and more extravagant in terms of how they look. It was only a matter of time before we made available a PC that is not just visually striking, but one that also stood by our philosophy of being quiet. Micronic's T3000 chassis allows us to do just that. As you can see the system is supplied with four white ring LED fans that really makes this PC stand out from the crowd. The fans, along with their LEDs can be switched off by a convenient switch at the front of the chassis. Of course this will reduce the amount of internal cooling the PC will receive but during non-gaming moments the airflow produced by the CPU cooler and the PSU will be more than sufficient to keep temperatures under control. If opting for a graphics card, then you'll find only semi-fanless versions available that only rotate when the GPU exceeds 50°C. These are just a few of the noise reductions characteristics you can expect to find on the Serenity AMD Gamer. Onboard graphics for a gaming PC, really? AMD's 2nd Generation Ryzen processors with a "G" suffix now feature Radeon Vega graphics built right into the CPU. The performance of the graphics on these processors out performs any other onboard graphics previously released. For example take the AMD Ryzen 5 2400G which can easily tackle popular games like DOTA 2, League of Legends, The Elder Scrolls V: Skyrim, CS:GO, or Rocket League at full HD (1920 x 1080) with ease. The built-in graphics also have full support for DirectX 12 and Vulkan too. Of course, if more graphical power is required then it is possible to configure the PC with a dedicated graphics card. We would recommend opting for a graphics card if you plan to play games at a resolution higher than 1920 x 1080 or if the minimum specs for the game exceeds the GTX1050. This is because the onboard graphics is close to the performance of a GTX1050. 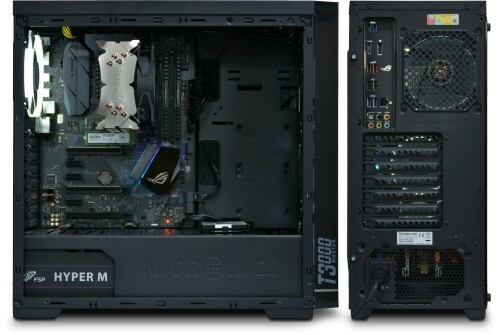 The configurator below has the GTX1060 as the next graphics card option. We believe the cost of the GTX1050 does not represent good value considering the performance of the Vega graphics and the fact it is free of charge! PLEASE NOTE: Only CPUs with the letter "G" in their product name have built-in Radeon Vega graphics. Therefore, if you opt for the Ryzen 7 2700 CPU, a graphics card will be required. Any air-cooled PC will always be a compromise between quietness (arising from careful cooling design) and performance (which produces heat). This situation affects gamers even more than most because the latest and greatest processors and 3D graphics cards tend to be the ones which run the hottest and which have the loudest fans on them. 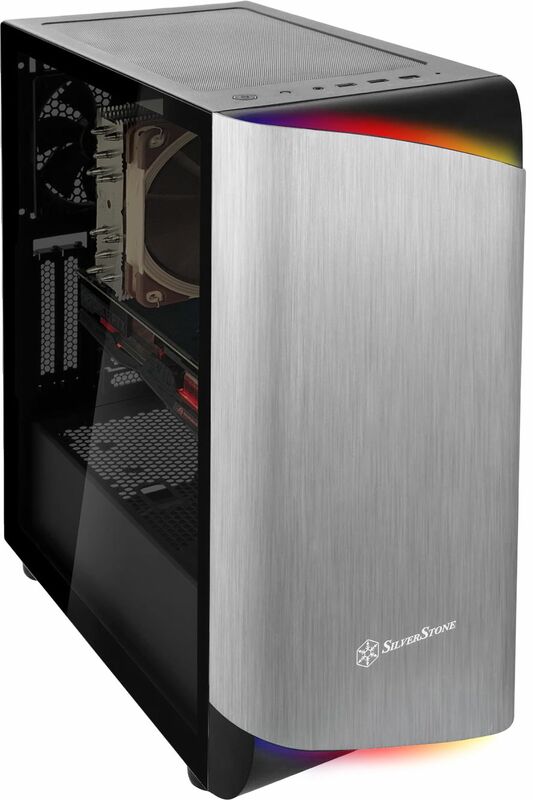 We've done a lot of development work in this area to bring you the Serenity AMD Gamer - a fully built high performance PC which we think offers the best of both worlds - virtually silent running (especially when the PC isn't being used for gaming), and extraordinary gaming performance with great cooling design which gives total safety and reliability for your precious CPU and GPU. Because we use a fully-featured motherboard, the PC is a very capable unit. It can be built with up to 64 Gigabytes of memory and one of AMD's Ryzen processors. Famous for their excellent performance/value balance, these processors have the latest architecture and offer excellent performance. We recommend a minimum memory specification of 8GB for this operating system to perform at its best. I opted for a 4770K CPU and GTX 760 graphics card to cope with my upgrade of Cinema C4D to version 15. I was concerned that the graphics card would be noisy but I should not have worried, my new PC runs quiet and cool. I ordered on a Sunday and it was delivered the following Friday morning. I will be using QuietPC again.